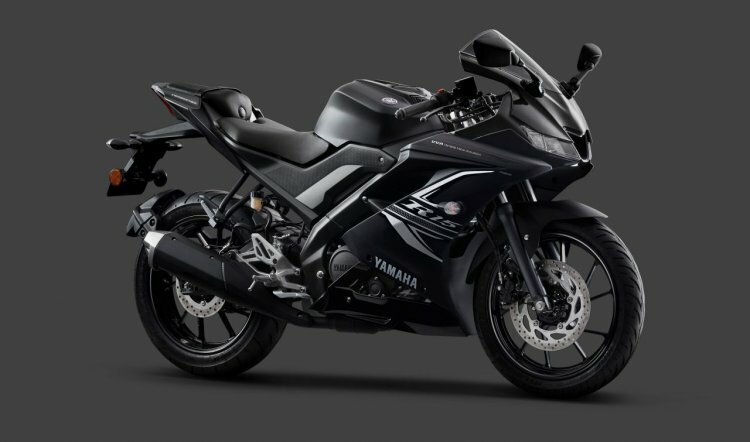 India Yamaha Motor has announced the launch of ABS-equipped YZF-R15 in India. Unlike most rivals, the 2019 Yamaha YZF-R15 V3.0 gets dual channel ABS. At an ex-showroom Delhi price of INR 1.39 lakh, the YZF-R15 V3.0 ABS carries a premium of INR 12,000 over the retiring model. Yamaha has introduced a new colour option for the YZF-R15 V3.0. Called Darknight (pictured), the new colour carries a premium of INR 2,000 over the Racing Blue and Thunder Grey options. The dual channel ‘Anti-lock Braking System’ (ABS) technology comes with adjustable fluid pressure, which is aimed to ensure immediate braking on slippery roads. Apart from ABS, Yamaha has also introduced a new colour option for the motorcycle. 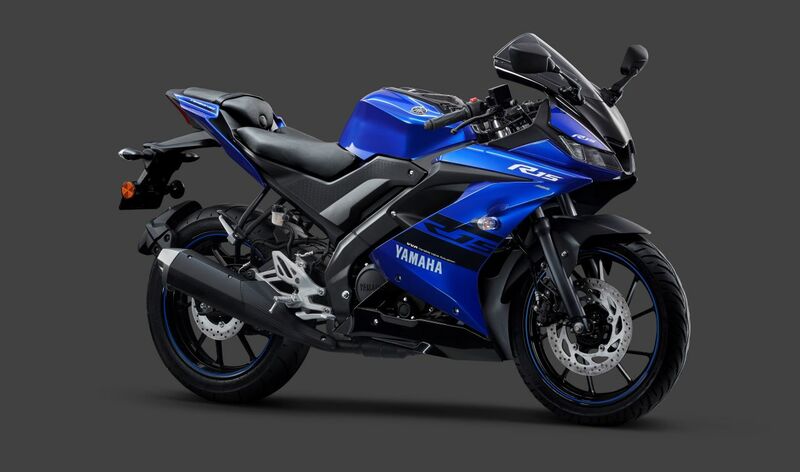 Over the existing Racing Blue and Thunder Grey, the YZF-R15 V3.0 will now be available in Darknight colour option. The new Darknight carries a premium of INR 2,000 over the Racing Blue and Thunder Grey and can be purchased for INR 141,000 (ex-showroom Delhi). The New Year 2019 will also be exciting in Yamaha and it is ready with the heart revving products. A brand known for leading generations of stylish ride through improved technologies, Yamaha has now engineered to implement a dual channel ABS to the YZF-R15 Version 3.0. The initiative to offer dual channel ABS in YZF-R15 Version 3.0 has endowed Yamaha as the trendsetter in the 150 cc class, by introducing it for the first time in the particular segment. Yamaha will continue to optimize the thrill of riding with its style and excitement. The motorcycle will retain the original features like Variable Valve Actuation (VVA) technology and assist and slipper clutch. It will continue to draw power from the 155cc engine with high compression ratio and maximum power output of 19.3 PS power at 10,000 rpm. Peak torque of 14.7 Nm arrives at 8,500 rpm. The engine is paired to a six-speed gearbox. At the current prices, the YZF-R15 V3.0 ABS sits between the recently launched 125 Duke ABS and 200 Duke ABS that retail for INR 1.19 lakh and INR 1.60 lakh respectively (both ex-showroom Delhi prices). The motorcycle has boosted the company’s numbers since its launch at the 2018 Auto Expo back in February. At INR 1.39 lakh (ex-showroom Delhi), the ABS-equipped Yamaha YZF-R15 V3.0 is INR 12,000 more expensive than the non-ABS version. In more updates, Yamaha is preparing for a product launch that is scheduled on January 21, 2019. The company hasn't revealed any details about the upcoming product, but we could see the updated FZ series arrive on the mentioned date.